October 7, 2016 from 1430 to 1530 first youth organization Nevada-Semipalatinsk hold a round table discussion on “The Origins and achieve movement Nevada-Semipalatinsk”, which will be held in 308 conference hall (rectorat), prospectus Al-Farabi, 71, Almaty. Young Al-Farabi Kazakh National University, with the support of the Rector Galymkair Mutanovich decided to create a primary youth organization of the movement “Nevada-Semipalatinsk”. 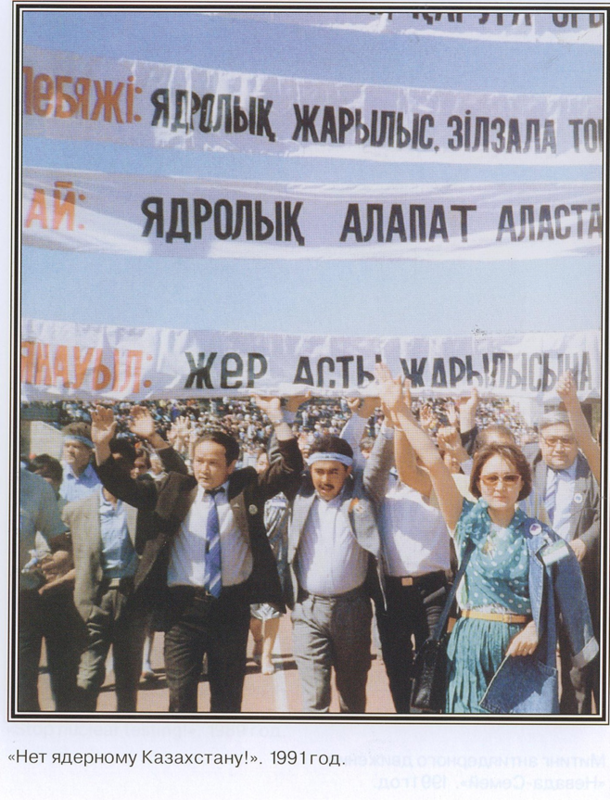 International Antinuclear Movement “Nevada-Semipalatinsk” – republican public organization, on a voluntary basis combine citizens of the Republic of Kazakhstan, established for the protection of human interests in the field of ecology and protection of nature, which is fighting for an end to nuclear tests and the closure of the test site. Because of the test radiation received tens of thousands of Kazakhstanis. The echoes of the terrible past still can be heard in today’s generation, which received terrible disease inherited. Within weeks, the society embarked on the protection of the native land and the country was a wave of peaceful demonstrations. As part of the youth organization had developed a plan, which aims to promote the ideas of the movement “Nevada-Semipalatinsk”, to bring together young people all over Kazakhstan to solve the environmental problems associated with the consequences of nuclear weapons testing. In the history of the organization of movement Nevada-Semipalatinsk and the results will be discussed during the first round table reached at for more than 25 years. Organizers of the event: members of the youth organization of Nevada-Semipalatinsk.